Pho.to Stickers App – Unleash the Power of Stickers! 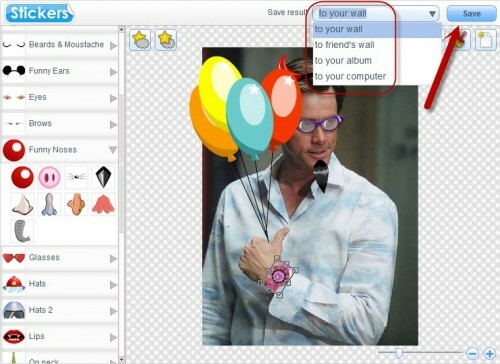 Pho.to Stickers app is the perfect tool for Facebook users who are into photo editing and pranks. Love messing with your friends’ photos to have some good laughs together? 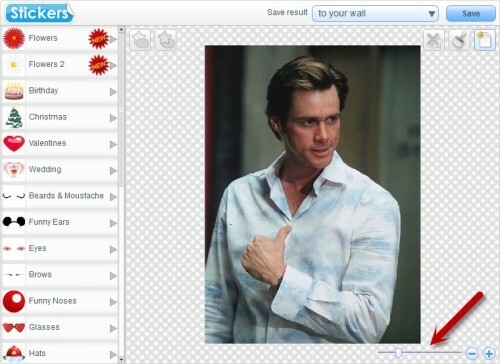 Then it’s time to unleash sticker power on their photo albums! It’s really easy to get started. The app is very straightforward and intuitive. 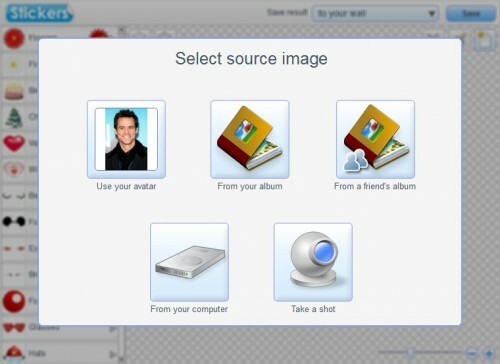 Pick a photo from your computer or FB album, edit your own avatar or take an instant webcam photo. Use the slider or +/- buttons to zoom in/out on the picture. Take your time browsing through the sticker groups in the left part of the app interface. Whatever mischievous and funny alteration you want to apply to a photo – we have just the right sticker to do the job! 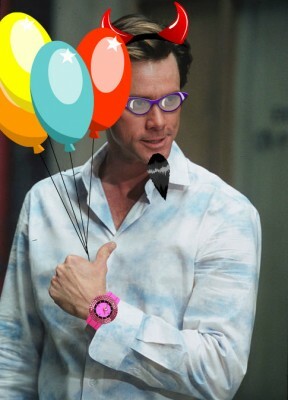 Cartoonish eyes and glasses, funky facial hair, gadgets, pets, flowers, birthday cakes, funny hats and more – you won’t find yourself lacking inspiration. Stay tuned for the updates – we add two entirely new sticker groups every week or two! 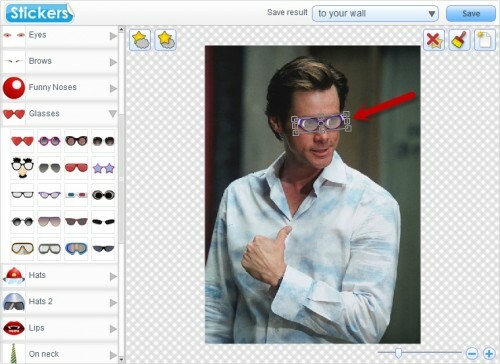 Click a sticker that caught your eye and it will instantly appear on top of your photo. Now drag the sticker to an intended spot. Note that you can easily resize and rotate it in any possible way until it fits into your image perfectly. 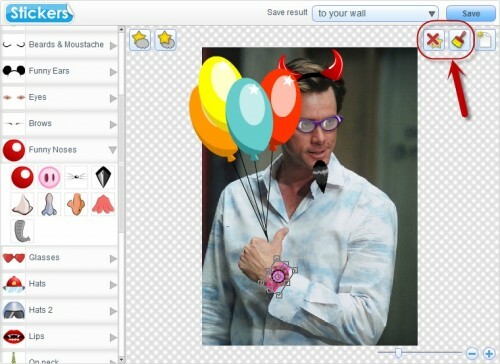 The number of stickers you can apply to your photo is limited only by your imagination. But make sure to utilize the buttons in the top left corner (cloud and star) if your image gets somewhat sticker-heavy. They will let you choose which sticker goes to background and which stays in the front, adding perspective to your picture and preventing it from getting a bit messy. If you are not happy with the result, you can easily remove any sticker. 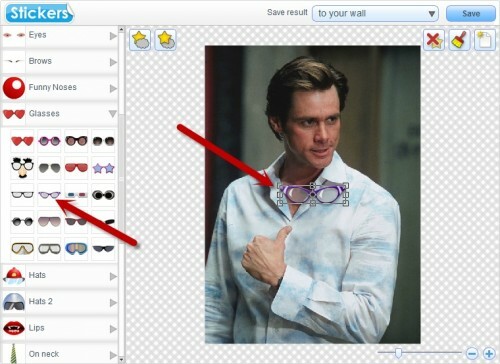 To do so, highlight it and click an icon with a crossed star in the top right corner. The adjacent broom icon removes all stickers at once. When your image is ready, save it to you computer or share it with your friends instantly, placing it on your or your friends’ wall or in your photo album. Previous Previous post: New model for Funny.Pho.to effects!